Second, the problem with the Big Bang, has Smolin very clearly explains in his book (see: http://tinyurl.com/ohaum9e) does, in fact, present a problem for people who accept at face value the implications of general relativity and the so called block-universe: if one denies the fundamentally of time, then one has to conclude that the biggest discovery of modern cosmology, that the universe had a beginning, is in a deep sense an illusion. I’m not taking sides here, simply pointing out that there is a fundamental problem that keeps physicists up at night. He is responding to my comments that physics has a direction of time, and that causality is fundamental to physics. He admits that he is not a physics expert, but where does he get this stuff? Entropy increase is not just an empirical observation. It is fundamental to modern physics. So is time and causality. They are baked into the equations as well as the theories. I don't see how you can study physics at all, and miss these points. Where do I start explaining it to him? Ah, yes, I love it when people tell a scientist that he has funny ideas about science, meaning that he doesn’t understand the basics. Comments on his site are strictly moderated, so he deletes any comment that offends him. Of course he is free to insult commenters like me. He says he is a scientist, having previously worked in biology before switching to philosophy and the study of pseudoscience. He gets his info about physics from philosophers, and from Lee Smolin. 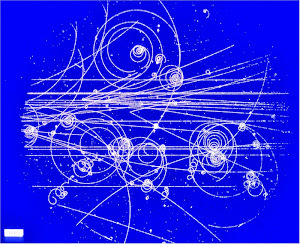 Smolin is way out on the fringe of physics. His last book is concerned with philosophical questions like whether time is real. Asking whether time is real is not a scientific question. Obviously it is real in the sense that it is measurable, and it is essential to both our practical and conceptual understandings of the world. What could be more real than that? Philosophers can argue that pretty much anything is not real, but an illusion. Maybe we live in a simulation. Maybe time is a disguise for something else that is not understood, and we cannot understand the unreality of time because we don't understand the something. Philosophers commonly engage in such silliness, not scientists. James Clerk Maxwell seemed pretty content that science had a handle on the second law of thermodynamics: "The whole science of heat is founded Thermometry and Calorimetry, and when these operations are understood we may proceed to the third step, which is the investigation of those relations between the thermal and the mechanical properties of substances which form the subject of Thermodynamics. The whole of this part of the subject depends on the consideration of the Intrinsic Energy of a system of bodies, as depending on the temperature and physical state, as well as the form, motion, and relative position of these bodies. Of this energy, however, only a part is available for the purpose of producing mechanical work, and though the energy itself is indestructible, the available part is liable to diminution by the action of certain natural processes, such as conduction and radiation of heat, friction, and viscosity. These processes, by which energy is rendered unavailable as a source of work, are classed together under the name of the Dissipation of Energy. The 2nd law of thermodynamics has the same degree of truth as the statement that if you throw a tumblerful of water into the sea, you cannot get the same tumblerful of water out again. in a letter to Lord Rayleigh, as quoted in John William Strutt, Third Baron Rayleigh (1924), p. 47. Pigliucci tells us that if the tumbler was small enough, it would be no problem getting it out of the sea again, as Pigliucci states that time runs backwards at "microscopic" levels. Massimo writes, "But entropy increase is simply an empirical observation. It’s not found anywhere in the equations. And that is the problem. Nobody denies that entropy increases, that time exists (well, actually some do), or that causes precede effects. The problem is that none of this is found in the equations of either quantum mechanics or general relativity. And those are the only fundamental theories about reality we have." When Faraday proposed Faraday's Law, it was "simply an empirical observation." "It wasn't found anywhere in the equations." Massimo would have dismissed and derided Faraday's discovery of Faraday's Law (and the field) as "a pproblem." He would have declared Farady's empirical observations to not be a part of physics, and he would have instead embraced string theory and the multiverse, as he does today. When Copernicus proposed the heliocentric universe, it was "simply an empirical observation." "It wasn't found anywhere in the equations." Massimo would have spat upon Copernicus (as well as Galileo for "empirically observing" phenomena supporting Coppernicus) as he penned and published his irrelevant philosophy pamphlets. When Galileo proposed that "all masses fall at the same rate," it was "simply an empirical observation." "It wasn't found anywhere in the equations." Massimo would have joined the Priesthood in persecuting Galileo. Were it up to Massimo, Faraday, Galileo, and Copernicus would have never been allowed to advance science via their "empirical observations," which Massimo would have dismissed as "problems." Massimo has written books on pseudoscience, and holds himself out as an expert on what is or is not science. Worse, he seems to be reflecting mainstream views of the philosophy profession. You have good examples, but entropy increase is not even something new. It has been known and accepted about as long as Faraday's Law has been. 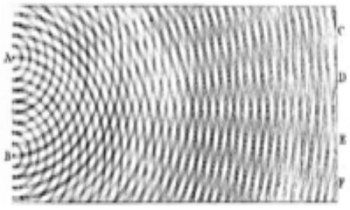 Pigliucci tells us that if the tumblerful of water was small enough, it would be no problem getting the exact same molecules out of the sea again after ten minutes or so, as Pigliucci states that time can run backwards at "microscopic" levels, just as easily as it runs forwards.